Volunteer’s Lunch to show our appreciation of our great Volunteers! 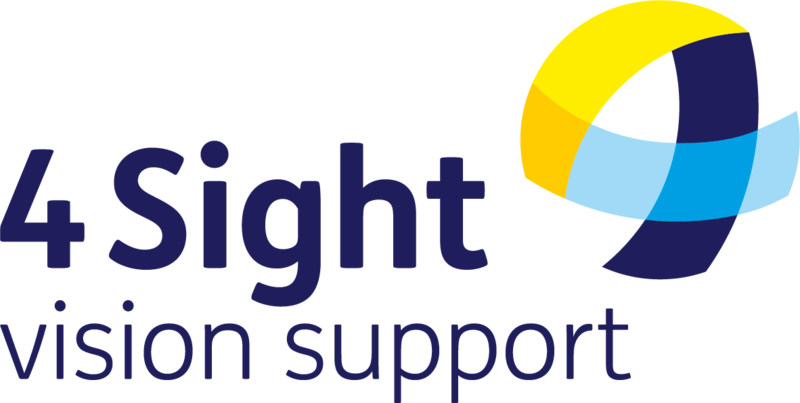 On Thursday 7th June, 4Sight Vision Support welcomed their volunteers to the Shoreham Centre, the home of one of their Support Centres, to recognise and celebrate all their hard work and dedication. The occasion marked Volunteers’ Week, where organisations up and down the UK joined in the NCVO campaign to say thank you to the invaluable work of their volunteers. Volunteer Coordinator, Karen Mclachlan said, “It was wonderful we were able to award and recognize the vital and valuable work our team of over 300 volunteers do. This was an opportunity to pay tribute to our volunteers who go above and beyond and exemplify the true potential of volunteering and acknowledge the difference they make to 4Sight Vision Support and more importantly the difference they are making to the lives of our members”. As volunteers arrived, they were each presented with a personalised certificate that included how many years they had been volunteering for; some achieving platinum status for volunteering their time for over 30 years! After the catch ups were done, it was time for the long awaited awards. There were many worthy winners but those who scooped up the awards were: ‘Culture Vultures’ for Volunteer Group Award, Phil Adams for Fundraiser of the Year, Dorothy Lazenby for Inspirational Volunteer Role Model and Maureen Jenkins for Individual Outstanding Volunteer. 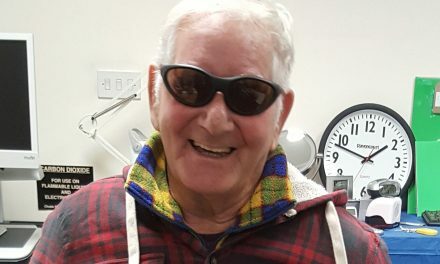 ‘Losing one’s sight is terrifying and learning new skills to cope with everyday tasks is daunting’, says Maureen, ‘Helping 4Sight Vision Support members is rewarding and organising fundraising events to help provide essential services is also enjoyable. It’s just good to help a bit. 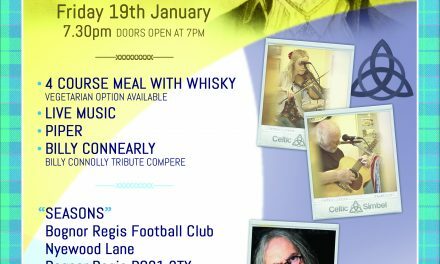 Thousands of people in our area are visually impaired and I believe that we should all do our bit to help those less fortunate than ourselves’. 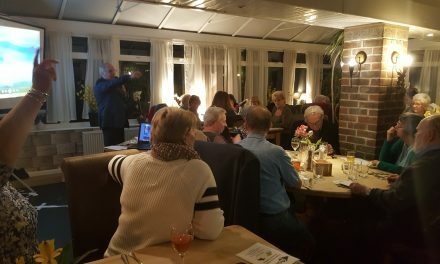 4Sight Vision Support would also like to thank Sight Support Worthing, West Sussex County Council, Voluntary Action Arun and Chichester and Adur Talking News for attending the event and supporting the charity and its volunteers. 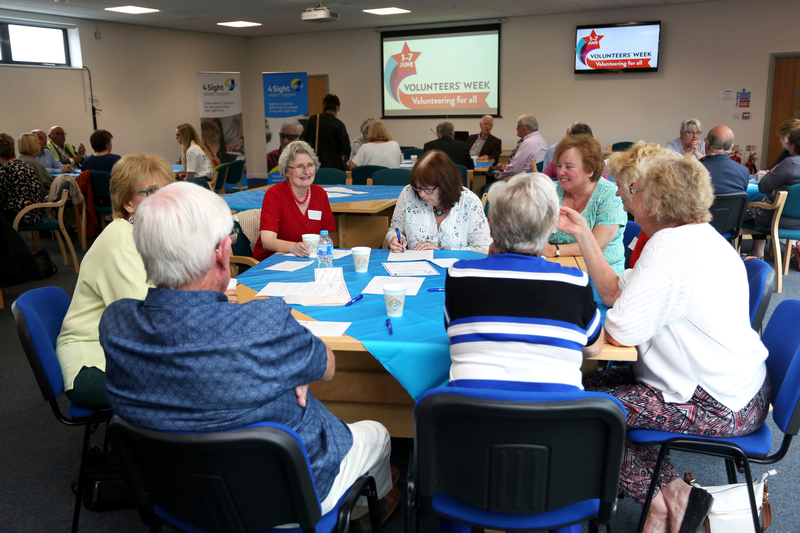 Lucie Maldoom, VAAC, said ‘It was a real pleasure to be involved with the awards panel and so nice to be part of celebrating the volunteers during volunteers week’.